It's a potent combination of product shilling and heart tugging. It’s an innocent enough scene, at least on the surface, of a miserable little child in a barber chair getting a haircut. But in this case, the military-style buzz cut takes off more than a few inches. It’s symbolic and personal, reinforcing gender norms and hindering the kid’s true identity. Staring into the mirror, the child sees only a disconnect. That’s just one of the poignant moments in Sunsilk’s new “Hair Talk” campaign from Thailand, a region that’s become known for its potent combination of product shilling and heart tugging. Sunsilk joins a lengthy list of Thai marketers, from insurance and telecom to packaged goods, that specialize in the art of “cryvertising,” that, when done insightfully, can become a viral sensation. That’s certainly been the case for “Hair Talk,” which snagged 2.5 million views in its first 48 hours when it posted to the brand’s website last month. That traffic was organic, with no paid media. When YouTube and Facebook kicked in, the numbers skyrocketed to 37 million views in Thailand alone. “Hair Talk” introduces a new Sunsilk product, formulated for long hair, through its star Rock Kwanlada, a young trans woman and beauty queen. The coming-of-age story, told from her hair’s perspective, follows her early battle with bullies, her reluctant double life and her struggle for acceptance. Since the brand wanted to talk about every girl having the right to explore the world and express herself through her hair, execs at the ad agency took that directive literally. “If we say ‘every girl,’ we should then mean it,” said Joao Braga, CCO at JWT Thailand, who also brought in creatives from the Jakarta office to work on the project. While fempowerment is a strong, ongoing advertising trend, JWT wanted to push beyond “girl power” and spark a more meaningful conversation. The agency did a wide casting call, auditioning about 50 trans women, listening to “many beautiful and powerful stories,” Braga said, before choosing Kwanlada. JWT also had two trans team members “which gave us an amazing wealth of insight” for the digital video. In Thai culture, transgender women are “very visible and are often an integral part of the ‘girl gang,’” Braga said, but that kind of welcoming embrace doesn’t usually extend to the home and the broader community, meaning limited job prospects, frequent harassment and family rifts. 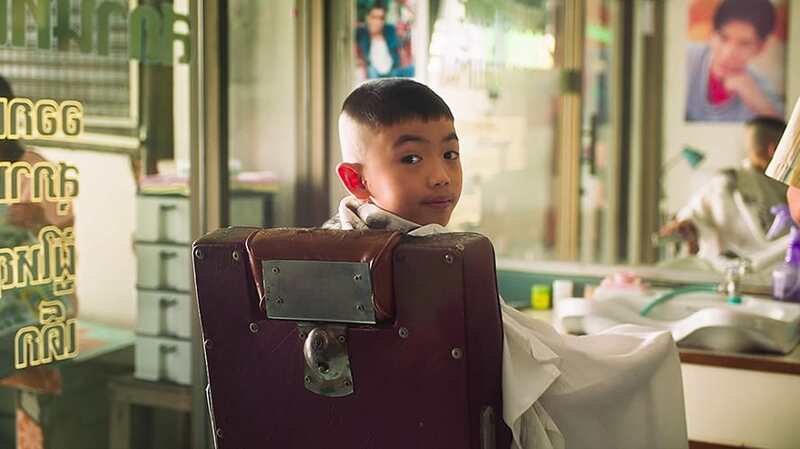 In Kwanlada’s case, as depicted in the touching 4 1/2 minute mini-movie shot over four days in Bangkok, her father tried to mold her into the traditionally masculine son he wanted. All the while, Kwanlada felt trapped and repressed. Grab a hankie and watch the spot in its entirety (yes, there’s a tender reconciliation), and see why it won a Bronze Lion in the film category at Cannes today.